Arts in Oxford is delighted to again be hosting an exhibition by Arts Canterbury. 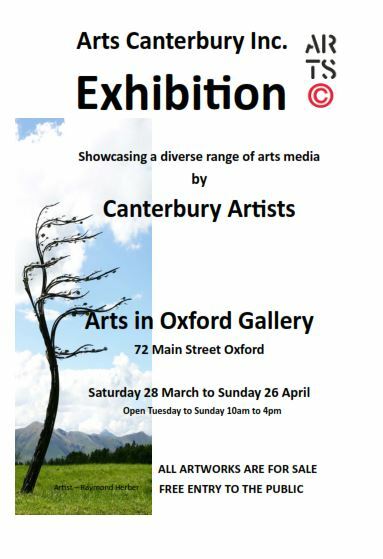 This is the second time that Arts Canterbury have exhibited here at Arts in Oxford and we are looking forward to an exhibition every bit as exciting and successful as the first one held back in March 2011. Warren Feeney will curate the exhibition which will run from 28th March – 26th April. The exhibition opening will be held on Saturday 28th March at 3pm. We look forward to seeing you then!